We are going to build a quality skate park in Porthleven which is approved by the local skating communiity and will last so that future generations of skaters can enjoy it. Porthleven is a small fishing harbour in South West Cornwall, it is a small village with a BIG community. For the youth of the village the local skate park is a vital part of the landscape and it is heavily used. It is the mix in ages that makes the skate park such an important place. Teenagers get a bad reputation, but at the skate park I have only ever witnessed the older kids help and encourage the younger kids. It's a place you can express yourself, push yourself to new limits, achieve spectacular things you never imagined you could do. 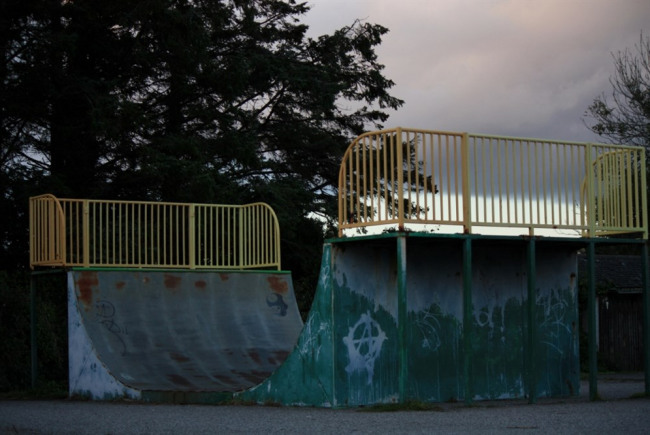 The problem is the skate park is in a bad way, it was built with metal ramps, and constant use has taken it's toll. The ramps have holes in so it is becoming dangerous to ride. We are a group of skaters, parents and members of the local community that aim to raise funds to build a new skate park, we want to include the local skaters in the design to ensure we build a lasting, credible park that can be ridden by all ages for years to come. The skate park is a vital place for the youth of Porthleven. It is a place that is theirs. It's a place to express youself, to push yourself harder to achieve things you never thought you could do, it is a place where you learn to try and try again until you get it right, its a place where the young kids learn from the older kids and are encouraged to overcome their fear and "go for it". Its a place they care enough about to take an active part in making it better. It's a place thats falling apart, it's a place that is becoming dangerous, it's a place we need to rebuild, it's a place where future generations should be able to skate/scoot. Porthleven is a small fishing harbour in Cornwall, and the skatepark is a vital part of the village. It is a place where the younger members of the community can express themselves, push themselves to new levels and help and encourage the little kids as they come through.